The mattress you sleep on can be a cause for back pain. If it is too soft, it is not good for spine support. If it is super firm, it does not provide the right kind of support. So, a medium, medium-firm or firm mattress is the best for your back. What can you do if your mattress is too hard or soft? You can add an appropriate mattress topper to offset the problem with your mattress. It is less expensive than buying a new mattress (unless it is time to replace it) and it will help you with back pain and your sleep. If your bed is soft, the smartest choice in a mattress topper would be firm to extra firm. If your bed is very firm, a thicker memory foam topper will remedy that feeling that you are sleeping on a hardwood floor. Before selecting a topper for your mattress, consider what problems your current mattress may be causing and offset that with the proper topper. Foam toppers like this Sleep Better topper are ideally suited for any surface. You can choose from firm or extra firm in this mattress topper, depending on your bed. This topper is not memory foam. It is standard foam. Overall, this foam mattress topper is a balanced mix of durability, comfort, and support, which makes it ideal for people who suffer from back pain. It is soft, but not too soft, so it conforms to your body while still supporting your spine. You should never see any indentations in this topper regardless of how much you use it. It is designed to be soft, but not so soft that you sink into it. As an added bonus, this product is hypoallergenic. Because this is a polyurethane foam mattress topper and not memory foam, there will be a strong, distinct odor that will last only a couple of days. If you suffer with back pain, that odor will not be a deal breaker since this topper is worth it. This topper comes rolled up and compact, so you will need to open it an unfold it, which could be challenging, but well worth it once you have relief from back pain. 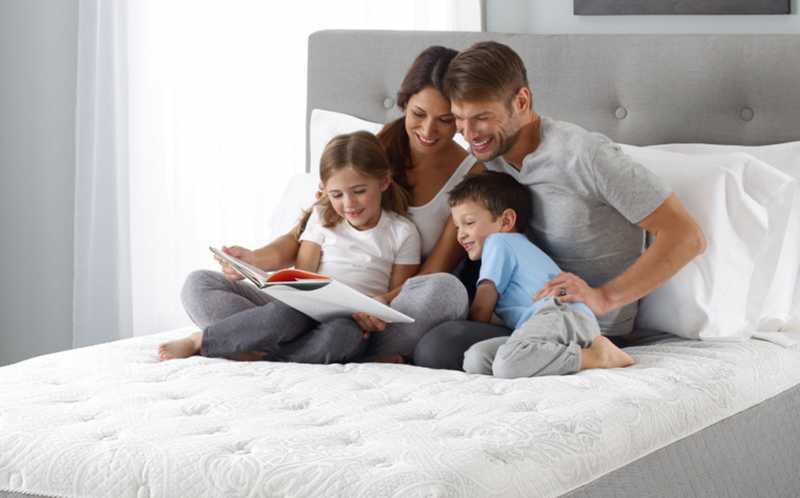 Best Price Mattress is a brand that gets great reviews from its customers. This 4- inch memory foam mattress topper provides the proper amount of support to alleviate back pain. It comes to you carefully packaged and forms quickly after opening. It is wise to give it two days after you unroll it to use it so that the chemical odor can dissipate. This mattress topper comes with a mesh cover, so you will not need an extraneous cover for it. If you take proper care it, it will serve you well for many years. You should not experience any indentations with this mattress topper even over time since the support it provides is ample. This is a good topper for people who suffer restless sleep and tend to move around a lot since it will not disturb their partner’s sleep. The ventilation is superb with this 4-inch mattress topper, so heat is kept to a minimum. Your body will maintain a more balanced temperature level, which allows you to sleep uninterrupted. Another perk of the Best Price Mattress topper is that it offers dual sides. One side is memory foam and the other a conventional dense foam. If you suffer with moderate to high levels of back pain, the denser, thicker foam side will be better for you. If you suffer with minor back pain, the memory foam will be great. When used on the right bed/mattress, this Lucid gel infused mattress topper promotes spine health and reduces back pain. It is designed to provide a good amount of support and comfort cushioning. If you are a side sleeper, the Lucid topper is best with soft beds. You will want the extra “give” and cushioning it provides to prevent too pressure on the hips. Gel infusion helps the memory foam to stay cooler, so you can stay cooler and sleep better. It features ventilated holes on the surface that aid air flow. When you remove this topper from its package, there will be a chemical odor. Simply set it aside and lay down somewhere out of the way for about 48 hours. After that, you can use the gel-infused mattress topper. The Isolus 2.5 -inch gel memory foam mattress topper is soft, and it will promote restful sleep and reduce back pain. That extra half inch provides a little extra cushioning for side sleepers above what the standard 2-inch toppers. That little bit makes a big impact on the comfort level. Not only is it great for side sleepers, it is ideal for stomach sleepers. Compared to a firm mattress, this gel memory foam mattress topper is designed to enhance your sleep. Air flow plays a role in the comfort, especially if you are prone to sweating at night. The use of highly advanced, modern technology is how Isolus gets the best airflow possible so that body heat is evenly distributed across the topper’s surface. You are not likely to awaken because of overheating with this topper. Essentially, the topper is ideal for side sleepers who like extra cushion and back sleepers who like the softer support. Regardless, it will boost the quality of an old mattress. This mattress topper is hypoallergenic and designed with mildew-resistant bamboo for a clean and allergy-free sleep experience. While it is normal for most foam mattresses to have a strong chemical odor when you unpack them, the SleepJoy Visc2 memory foam topper does not have that issue. It can be unpacked and left to inflate for a couple of hours and be ready to use. This is another topper that works best when it is used along with the right mattress and your personal needs. For instance, side sleepers benefit from this topper when it is placed on a soft bed. However, for stomach sleepers, this topper is ideal for use on a firm mattress. In both examples, both types of sleepers get good support with an extra layer of cushioning comfort. Another aspect of this mattress topper is that it promotes good ventilation, so you will not retain much body heat like many other memory foam toppers. This plays a role in allowing you to sleep without interruption due to discomfort and feeling overheated. If your objective is to improve your level of comfort, this topper is a good choice on a firm bed. Choosing a mattress topper not only a personal preference, but also depends on your needs, if you suffer with back pain and what kind of back pain, and what kind of sleeper you are. The first thing to realize is that mattress toppers are not full-sized mattresses and are not intended to be used as such. They are designed for use on top of a mattress to provide extra support and comfort while you sleep. Usually, toppers are lightweight and thin, though they differ in weight and thickness. They arrive in compacted packaging that you open and allow the topper to inflate before you use it. Some require that you allow for 48 hours before use. Doctors, chiropractors, physical therapists, and other medical professionals recommend mattress toppers to provide extra spine and hip support as well as to enhance your sleep. The goal is to awaken pain-free (as possible) and energized. Not all mattress toppers come with a cover, so it is wise to invest in a cover that will fit to protect it. Most toppers cannot be cleaned complete, but only spot cleaned. Here are some factors to consider when choosing a mattress topper. Memory foam is the most popular foam because it conforms to your body and remembers your body shape. That improves your chances of getting the support you need night after night. These also evenly distribute your body weight. Be aware that any memory foam topper that is lower than 4 to 5 pounds per cubic inch will not provide support for back pain. Thicker toppers promote the most comfortable sleep, though you need to consider the size and that it is big enough. The goal is to get ample body support. Toppers that are at least 3 inches thick are the most recommended. While there are a few toppers out there that are thinner and still dense enough to provide support, if your back pain is beyond moderate, this will probably not help you. If a mattress topper is too soft, it is not going to be good for your back. If anything, that can make back pain worse. What you want is a topper that is comfortable and supportive. If your main mattress is soft and provides little support, a mattress topper with a little more firmness will help. However, if your bed is very firm and you are a side sleeper, a thick, medium memory foam topper will be beneficial. Naturally, your topper should fit the size of your main mattress to be effective, so measure your mattress before investing in a topper. Mattress toppers come in a large variety of sizes to fit nearly any mattress/bed. It is not difficult to find one that covers your mattress completely. There is an ideal temperature suitable for restful sleep. Some mattresses and mattress toppers tend to contribute to raising your body temperature, so it is wise to look for one that has good ventilation and airflow to prevent that issue. The right topper will help evenly distribute body temperature to keep you cool and comfortable. If your topper is not helping in that area, a cooling pad can be used over the topper as a cover to help prevent overheating as you sleep. According to the American Chiropractic Association (ACA), “…about 31 million Americans experience back pain at any given time”. The causes of back pain can include but are not limited to sprains, injuries, obesity, poor posture, arthritis/osteoarthritis, or other conditions. It’s always best to start out with a suitable mattress for back pain – however, mattress toppers can be beneficial for use on a mattress that is hurting your back. The ideal density and support are the two main factors for helping reduce back pain. The Sleep Better 3-inch foam topper is the most likely choice since it has the ideal thickness for proper support for those who suffer from back pain. Remember that you are seeking a topper that is soft, firm, comfortable, and yet provides the best support for how you sleep and if you want to reduce back pain. The Sleep Better topper is known to support and align the spine, which plays a role in back pain relief and restful sleep.